Garmin GPS 158i is a budget chartplotter offering the basic capabilities of a chartplotter. It has a 5-inch screen which is greyscale LCD. There is also a compass and you can measure speed, distance and position. The system uses high-sensitivity GPS receiver making the device very accurate. Included within the 158i is a preloaded worldwide basemap and access to tide tables. There are no further maps compatible with this system. You are limited to the basic functions of a chartplotter with this system. You can store 3,000 waypoints, 50 routes and 10000 track log points. The Garmin GPS 158i is a budget chartplotter which offers a 5-inch diagonal, high contrast, greyscale LCD display. Included within the 158i is a preloaded worlwide basemap. It also has a high-sensitivity GPS receiver and internal GPS antenna. Plus you can connect an external GPS antenna using the BNC connector. The GPS 158i includes compass and displays speed and position and can track you route and calculate the distance between waypoints. There is a 3D view along your journey plus receive vital information too which you can choose. You can also set the orientation of the map view by selecting between North-Up, Track-Up or Course-Up. Tracking your position with the GPS158i is very accurate especially with the included High Sensitivity GPS receiver. You can choose to buy the GPS 158i on its own or buy the GPS 158i with the GA 38 external GPS antenna (as pictured right). When purchased with the GA 38 it is only £10.00 more than our regular price without this external antenna. You will get all the mounts needed for mounting the antenna including pole mount, surface mount and under-deck mount (for the underside of fibreglass decks). Already own a GPS 158/158i and want to buy the GA 38 GPS/Glonass antenna? It's available along with a number of other genuine and compatible accessories here. If you want a chartplotter that is more advanced than the budget 158i system then we recommend the Garmin GPSMAP 451. Unlike the Garmin 158i this system is touchscreen and accepts further mapping capabilities so you can get more information relating to your journey. You can store 3,000 waypoints, 50 routes and 10000 track log points. This 158i is also NMEA 0183 compatible which will send position data to another device. Also included is tide tables. This device is also waterproof to IPX7 standards. Please refer to the Garmin GPS 158i manual. Buy genuine accessories and spares for the Garmin GPS 158 here. 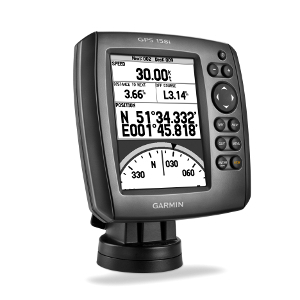 All parts are genuine Garmin product and specifically designed for use with the GPS 158 and GPS 158i 5-inch marine chartplotter. Question: Do you have a new 4 pin power cable for my Garmin 158i? Answer:Yes, the 4 pin power cable for your Garmin 158i can be purchased here. 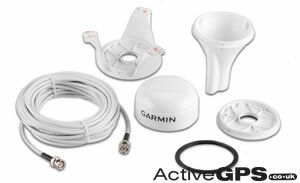 You can view all Garmin GPS 158i accessories here. Do you have a question about the Garmin GPS 158i? Submit your question via our contact page.